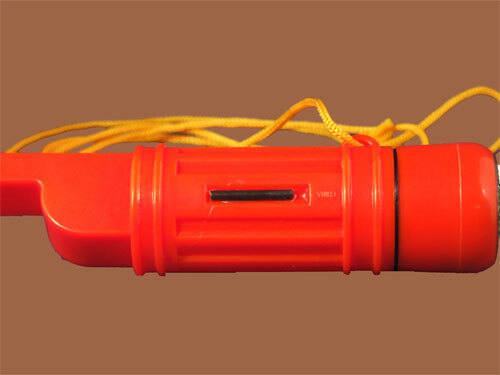 Bright orange emergency multifunction whistle. 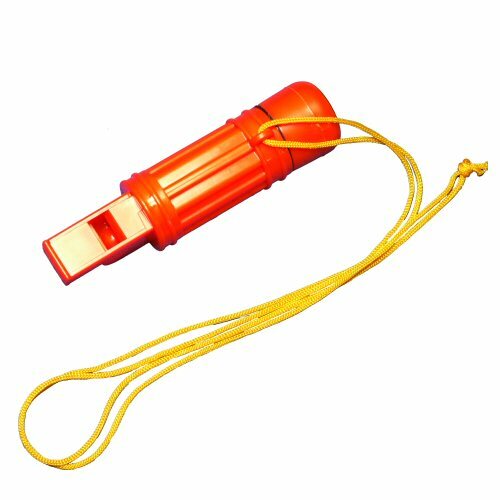 Made of sturdy plastic, the whistle is large enough to be easily gripped with gloved hands and has an easily operated failsafe blow end. 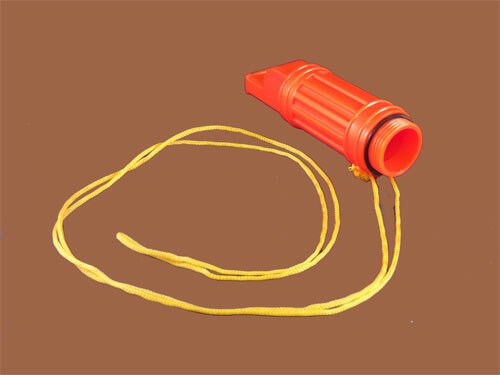 The whistle is also equipped with an oil filled compass marked in increments of 10 degrees, lanyard, sealed compartment 2cm diameter by 5cm length for matches, fishing line, hook, safety pins and other small utilities (not included). Inside of compartment cap has a small mirror. A flint is provided on the outside of the whistle. All plastic construction for any exposed parts means that the whistle may be stored in wet, salty and oily conditions. A excellent all round survival storage solution. View of the cap of the whistle, which has a small mirror inside. 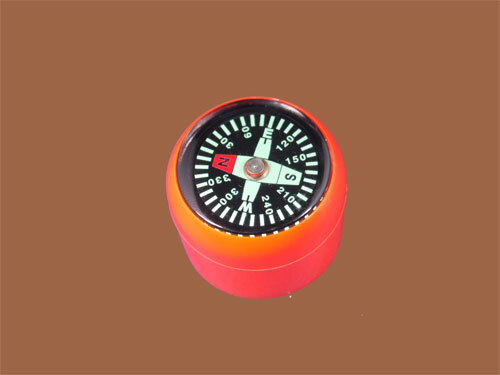 View of top side of cap, showing the compass. Side view of whistle showing the flint. 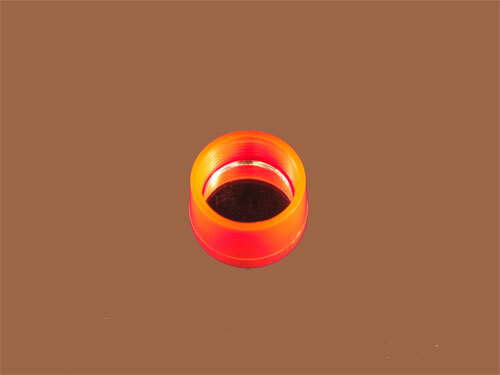 Angled view of whistle, showing the o-ring sealing the container space (lid has been separated for clarity) and the lanyard.